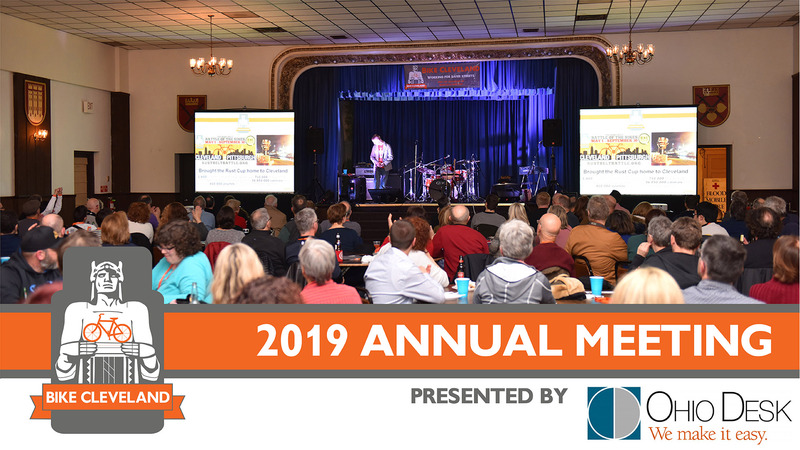 Join us for our 2019 Annual Meeting! Hang out with fellow members, make new friends, and bask in cycling love with a room full of people like YOU that are powering the movement in Cleveland. We’re excited to bring the event back to Sachsenheim Hall! Get caught up on what happened in 2018, and learn all about the results from our Strategic Planning Process – the process that will lead our work for the next 5 years! Local bike shops and organizations will be there showing off the latest cool stuff and projects, as well as other cycling themed goodness. Bike Cleveland members enjoy a delicious complimentary dinner, but bring some money cause Sachsenheim’s upstairs bar will be in open just for us! We’ll have a short presentation and take some time to recognize the folks who helped us have such a great year. Our annual meeting is open to current Bike Cleveland members, and those who become members in the weeks leading up to the event. For complete event info, times, and more – head to the Event Homepage!